Food Comics Turn 'ZAP' And 'POW' Into 'Sizzle' And 'Bubble' : The Salt A growing number of comic artists are focusing on what's on their plates, rather than dreaming up caped crusader capers. One common theme in these contemporary comics is the epicurean epiphany. Rutabaga:Adventure Chef is a web comic created by Eric Feurstein. Comic book heroes don't have to wear brightly colored spandex or possess superpowers to capture readers' imaginations anymore. They can don toques and wield whisks instead. A growing number of comic artists are focusing on what's on their plates, rather than dreaming up intergalactic showdowns and caped crusader capers. So less ZAP, BOOM, POW. More sizzle, crackle, bubble. 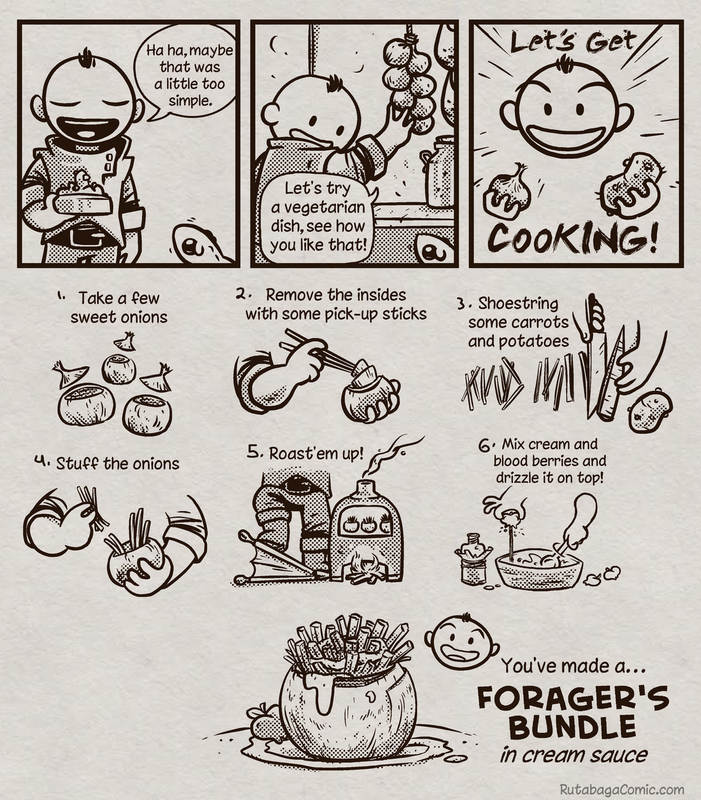 On one end of the spectrum, you can find a mash-up of Dungeons & Dragons and a Top Chef Quickfire Challenge in Eric Feurstein's webcomic and comic book Rutabaga: Adventure Chef. It follows the fantasy styled exploits of its titular hero and his miniature cauldron sidekick named Pot. In between the slaying of dragons and questing for magical treasure, the duo whips up dishes, complete with recipes, both real (chicken kebabs with peanut sauce) and imaginary (stuffed monster meat rolls). Personal stories about food have also found their way into comics, giving readers a bit of art to enjoy alongside a narrative. There's the popular webcomic "Sauceome" in which creator Sarah Becan affectionately details her love of food and drink, along with her body image issues. And visual memoirist Mike Freiheit chronicles his time as a chef at a primate sanctuary in South Africa in his comic book Monkey Chef. Many of these autobiographical food comics have their roots in the work of people like Harvey Pekar, says Maggie Thompson, the former editor of Comics Buyer's Guide and a comic book essayist. 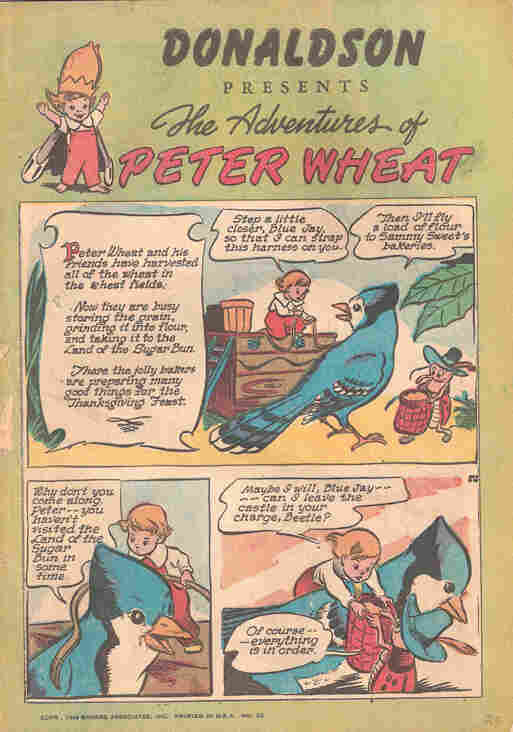 And while these visual, food-oriented stories might break some new ground, food companies have long known that comics are a great medium for selling their product, says Thompson. 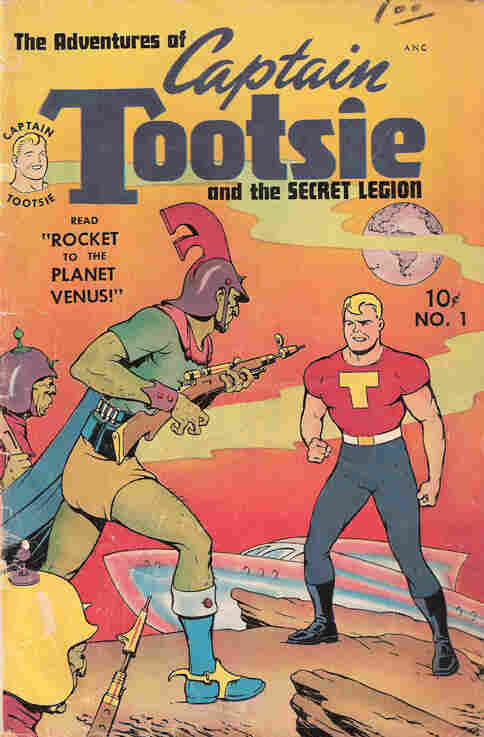 "Captain Tootsie promoted Tootsie Rolls, RC Cola had its own strip, 'Adventures of 'R.C.' and Quickie,' and Mr. Coffee-Nerves was a character for Sanka," she says. One common theme in the contemporary comics is the epicurean epiphany. That's what comic artist Tony Breed says he had while making chicken wings gratin for dinner one evening. "I think about food all the time," he says. "So it just made sense to write about it." He turned his kitchen escapades into Foodwise, a slender, self-published comic book cookbook that includes recipes for rice patties, turkey burgers and portobello mushroom "bacon," plus tips on how to stock your pantry and create simple pasta dishes. Not that you have to draw what you eat. "I eat things that aren't that adventurous," admits Rutabaga: Adventure Chef creator Eric Feurstein. "I have a guy who does that for me." Lucy Knisley's graphic novel and memoir, Relish, is the story of how she came to love food and cooking. Lucy Knisley used her graphic novel Relish to tap the memories of her childhood, that were "couched in this sense memory of the flavor of the foods I was eating at the time," she says. 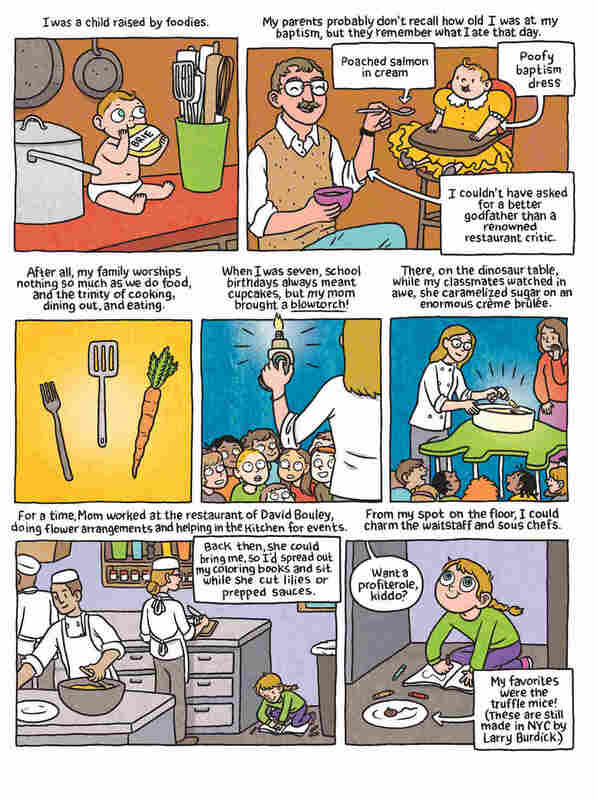 "Comics about food work really well, because there's yet another layer of sensory input that the reader is getting," says Knisley. "They're imagining a taste, flavor or smells of something you're depicting, so the work grabs you on a number of levels." These appetizing tales also attract the attention of people who aren't usually Comic-Con attendees. "It's something that appeals to people who love food memoirs, cookbooks and the Food Network," says Knisley. "I can spread the comics love to people who would otherwise not pick the book up."